The Golden State was one of the first pockets of the wine world to champion women winemakers, with the likes of Zelma Long and Merry Edwards blazing a trail for others to follow. 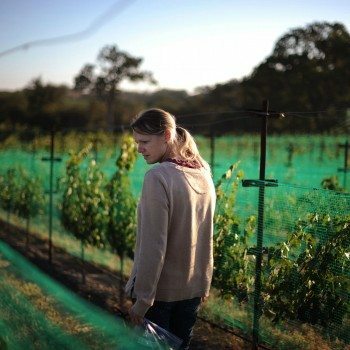 Today, 14% of the winemakers in Napa are women, which, while still far lower than it should be, is an encouraging sign of the turning tides in wine. Give it another decade and the figure will hopefully be far higher. Many of the state’s most revered wines have been made by women – from the debut vintage of Screaming Eagle, crafted by Heidi Peterson Barrett, and modern-day ‘cult’ wine Scarecrow, made by Celia Welch, to Cathy Corison’s elegant Cabernets and the myriad wines made by the forward-thinking Helen Turley over the years. We thought it was high time to celebrate the achievements of these wine pioneers, and at the same time highlight five women winemakers set to become the stars of the future, from Stephanie Terrizzi of Giornata, with beguiling Barbera from Paso Robles, to Helen Keplinger, who is shining a light on Rhône varieties with her highly sought-after single-vineyard wines. Very enjoyable and thorough article, but am surprised you missed Bibiana González Rave, winemaker for Wayfarer and the San Francisco Chronicle’s Winemaker of the Year. How did you leave off Jordan Fiorentini from Epoch. Didn’t know WSET ever had “sommelier” exams. Might want to double check that. First paragraph of Terrizzi profile. Re Barrett profile: Since the topic is winemakers, give credit where credit is due. The person who “made” the 1973 Chateau Montelena Chardonnay was Mike Grgich. Penny Gadd-Coster is a winemaker in Sonoma County who won “Winemaker of the Year” in 2013 in the inaugural Wine Industry Awards, a great achievement considering contenders were from the entire Napa, Sonoma and greater Bay Area winemaking regions! She’s also won over 30 Best of Class, Best of Show, Sweepstakes, Gold medals and 90+ point ratings for four wines in the past few years! You missed Signe Zoller at 72 years young, graduated from Davis with a MS in enology chemistry. Founding winemaker for Jess at Kendal Jackson and now winemaker for AVE.
Nice article, and I’m sure we all have additions to make. Mine are Milla Handley of Handley Cellars in Anderson Valley and Shauna Rosenblum of Rock Wall Wine Co.
Agree with Kent above, it was made by WINEMAKER Miljenko “Mike” Grgich, winery was OWNED by the Barretts!